Check in with the stars, Libra, it's your horoscope for the month ahead! The new moon on Feb 4th follows, putting emphasis on your sense of fun, creativity, and the way you produce something meaningful in the world; this could be a passion project, child or pregnancy, a special romance or your love life, or a creative hobby or interest that lights you up! Look ahead to what’s in store for this special subject, planning and imagining the months and years ahead. You can feel really connected to what’s in focus on the 8th, too. Valentine’s Day is electric, as Mars and Uranus meet in your relationship zone, adding a huge dose of excitement and unrest to the day of love. Over the past eight years it’s likely your collaborations have done a 180º turnaround, and this moment could put a stamp of affirmation onto your relationship status or how you’ve shaken up your perception of unions. Alternative pairings and coupling that’s a little different to the norm are a great expression of this energy! It’s a heady, even volatile time with others, which paves the way to taking interactions more seriously. Read a special horoscope for Valentine’s Day, here. The weekend of the 16th is when the magic really happens, as Venus and Neptune sync in the skies. Lovely, gracious Aphrodite will be feeling right at home in your domestic realms, while Neptune’s elusive glow shimmers and shines in the area of your horoscope governing work and service. With Pisces Season (beginning February 19th) and Mercury in Pisces (from the 10th), there’s a great emphasis on this area of daily life and routine schedules for you Libra. Your day job, how you feel helpful, useful and productive will be in the spotlight for the last part of the month, so expect to be extra busy or engaged with those everyday tasks that usually occupy your time. There’s a lot going on as we move into the week of the 18th, as Venus meets Saturn, putting great focus on family life, home and hearth, and a full moon is brewing. Luna peaks at 0º of Virgo in your zone of rest and closure; it could be time to honour a final curtain call on a matter, or to congratulate yourself on a job well done in private. Perhaps you’ve managed your health or a project well behind the scenes. In the final throws of February you may experience major shifts in the domestic realms, as deep and meaningful sentiments are coming into alignment. You may want to reflect on all that’s transpired this year, and take the pressure and expectation off. Just because your nest or family life isn’t the same as others doesn’t mean you can ‘t feel absolutely at home, safe and secure. Take extra time to ensure you’re serene in your environment. For a personal reading please email kimberly@starsignstyle.com, and don’t forget to head back to February’s Horoscopes to read the forecast for your rising sign! 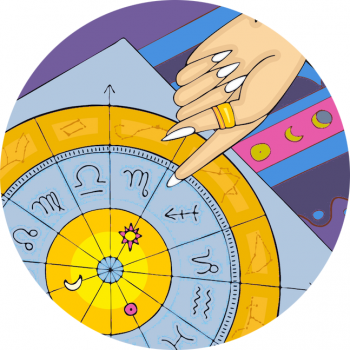 Fresh Forecast: Your February Monthly Horoscope!